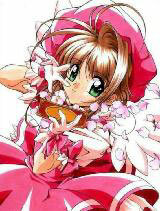 You are going to Watch Cardcaptor Sakura Episode 54 English dubbed online free episodes with HQ / high quality. Stream Anime Cardcaptor Sakura Episode 54 Online English dub Sakura and the Calendar of Memories, Fujitaka gives Sakura her mother’s old calendar, and learns about her great-grandfather (the two had previously met, though Sakura remains unaware of his identity) and how he disapproved of his granddaughter’s marriage to Fujitaka. Hoping to set things right, Sakura hand-makes a gift and uses the Flower card to decorate it, along with a letter about how happy her mother was. Tomoyo’s mother Sonomi delivers the present to him, and he makes peace with Fujitaka. As a thank-you present, Sakura receives her mother’s old dress from her great-grandfather, which she wore when she unknowingly met him. 4.5 / 5 - 10 ratings.